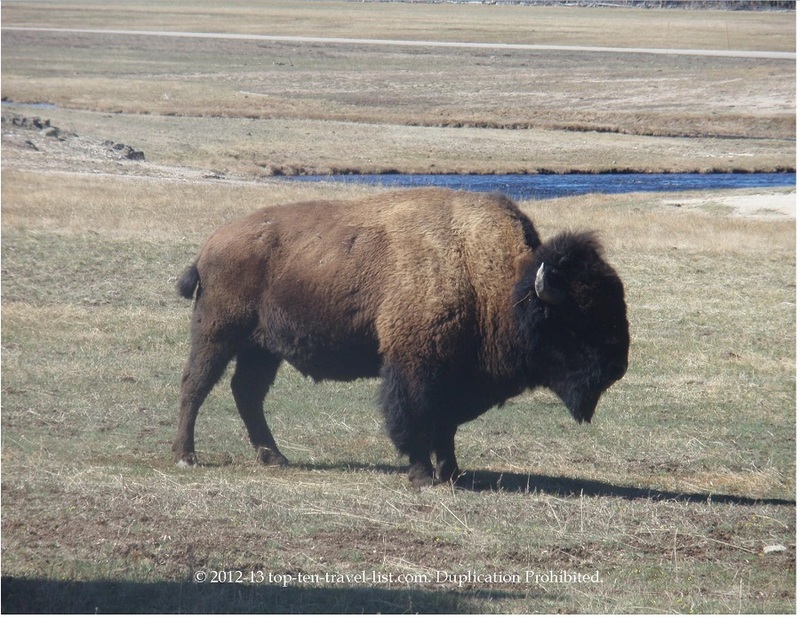 Yellowstone National Park: Elk, Bison, and Coyote Spottings! - Top Ten Travel Blog | Our experiences traveling throughout the US. 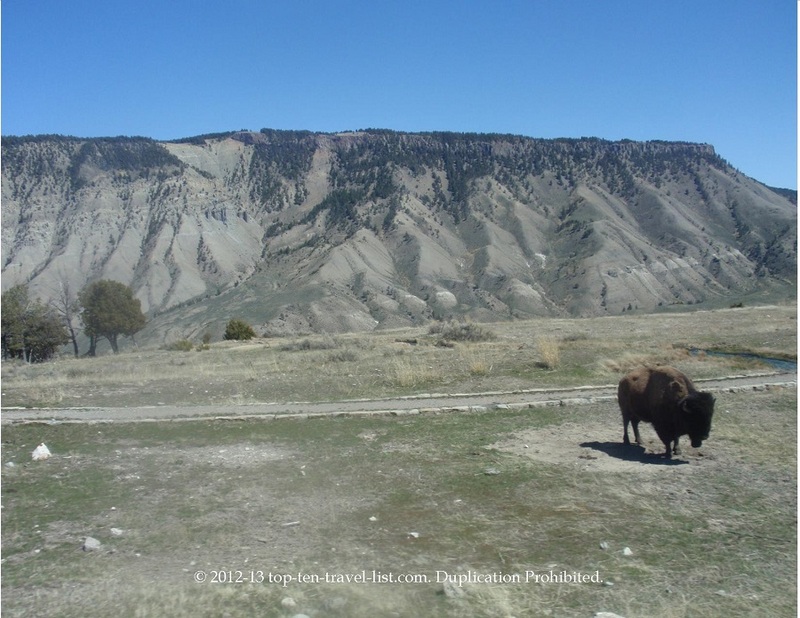 Yellowstone National Park: Elk, Bison, and Coyote Spottings! My boyfriend and I took another drive through Yellowstone National Park this weekend. We decided to take a new route this weekend. From the West Yellowstone entrance, we drove northeast passing through Lamar Valley. 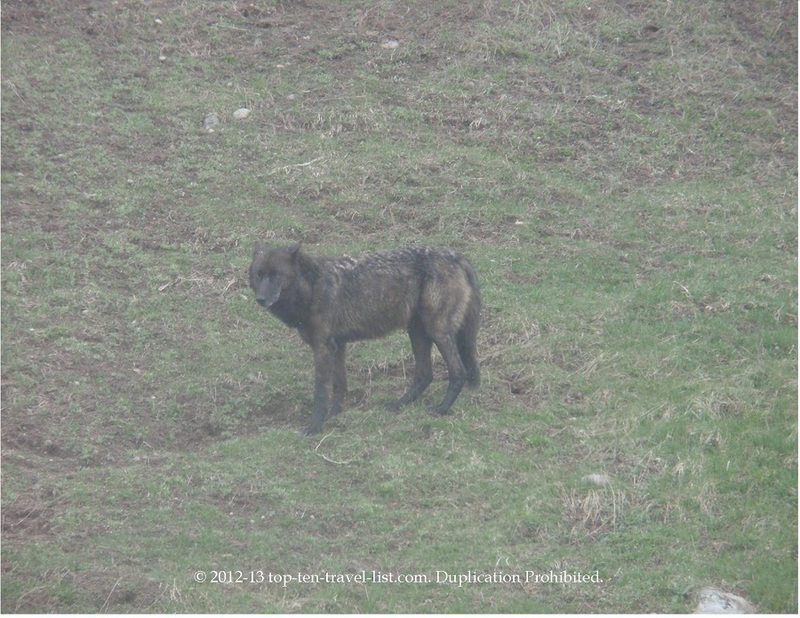 Lamar Valley is supposed to be a hotspot for bear sightings because there is an abundance of prey (elk, bison, etc.) 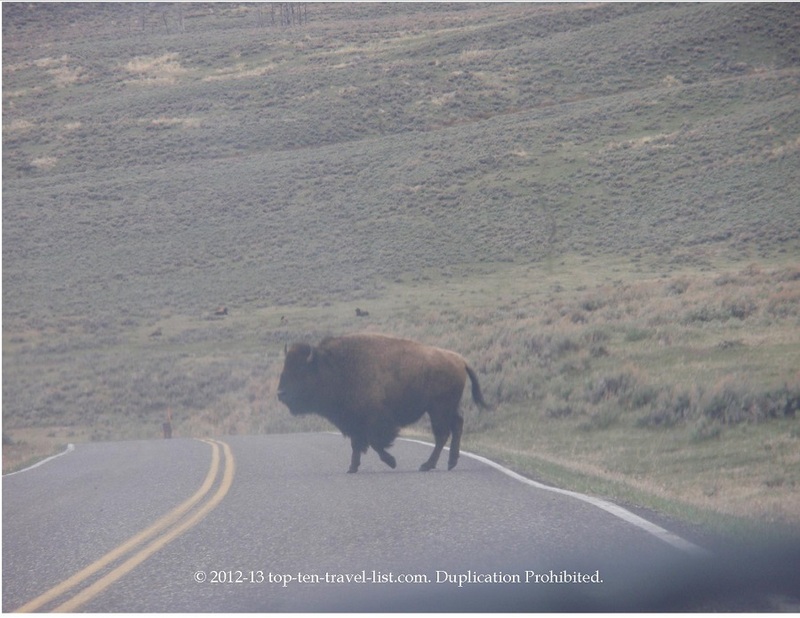 We did see more bison and elk driving this route. Unfortunately, we did not see any bears or moose! The scenery was much nicer on this route. 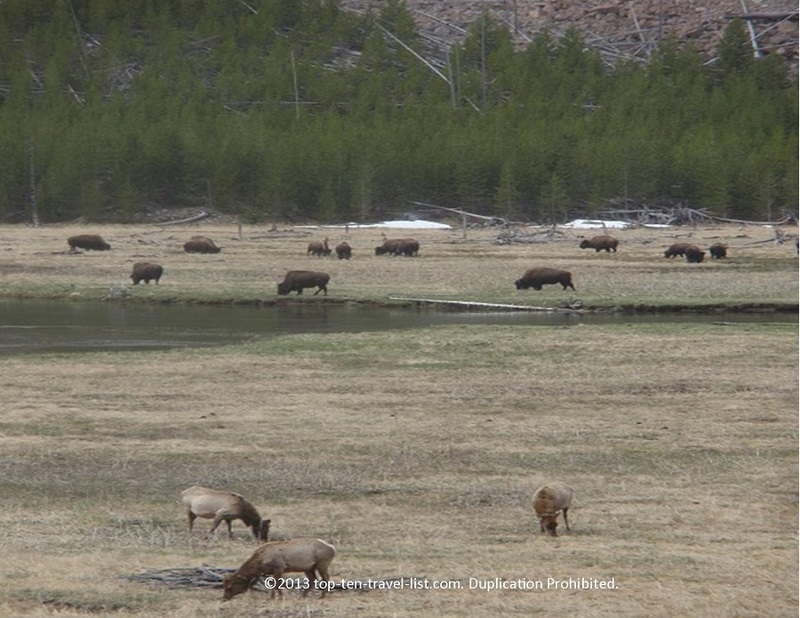 We got fantastic close up views of both elk and bison. We even spotted a coyote. 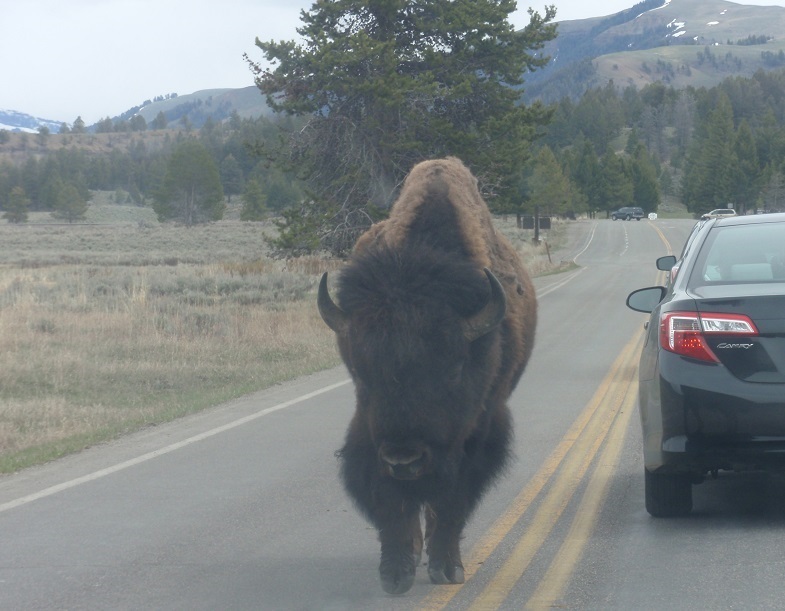 Many of the animals were just hanging out on the road, especially near the Gardiner Montana entrance. Yellowstone driving definitely needs to be broken up into several days. The drive was very tiresome; we drove for over 6 hours! 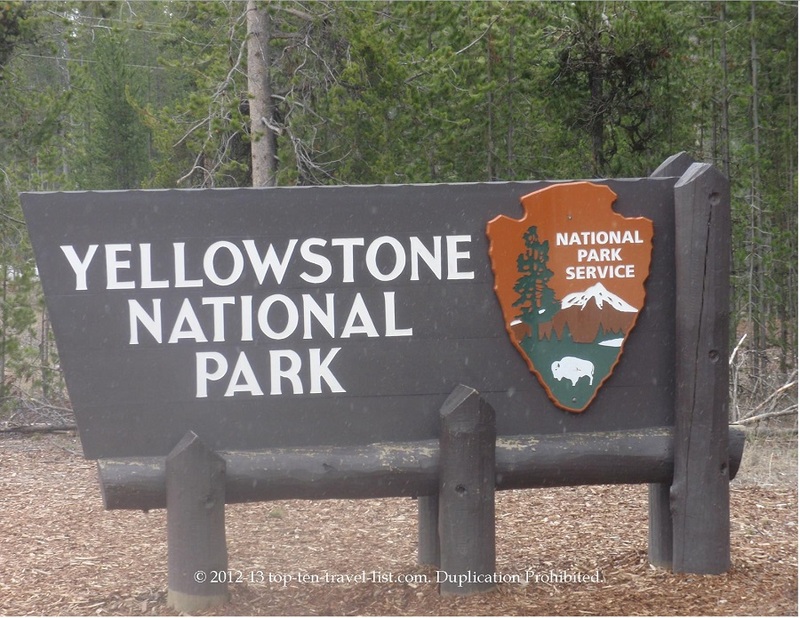 We went to Yellowstone 2 weekends in a row and still did not cover half the park! Make sure to bring with snacks and water bottles as there are not many places to stop for food.